Allt om Mat is now available on the mag+ platform for tablets. Allt om Mat+ is a digital weekly magazine focused on recipes from the print and online editions. 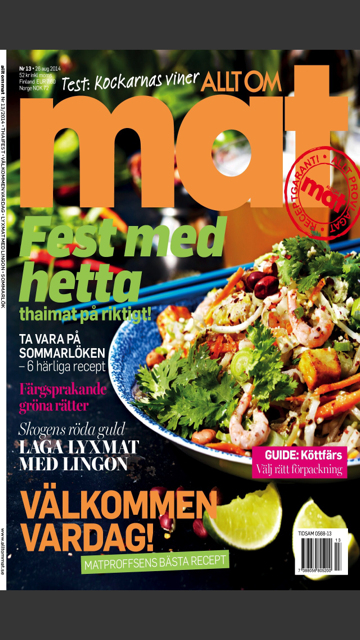 Allt om Mat is Sweden’s most popular magazine about food, with almost six hundred thousand readers. It aims to inspire with recipes from Sweden and from other exciting countries.